The look on his face is SO priceless. 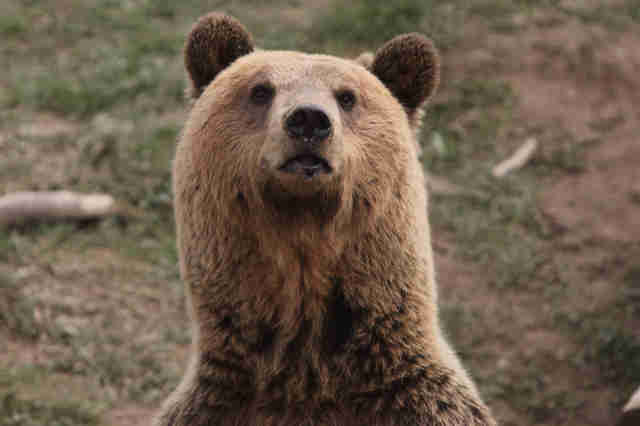 When rescuers arrived to save a bear named Tomi in 2016, no one was sure if he'd ever recover from what he'd been through. 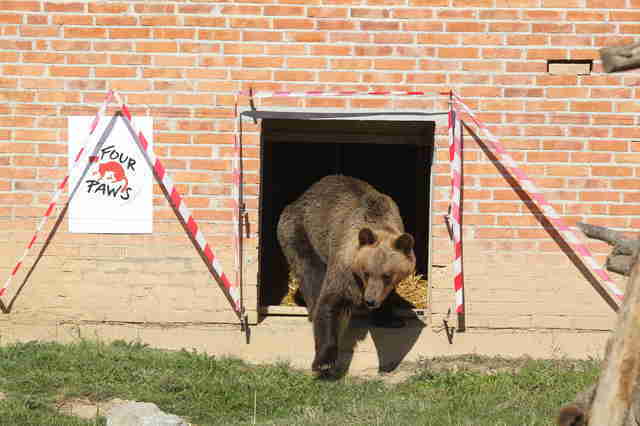 "Tomi the bear was forced to live in a cramped concrete enclosure outside a restaurant in Albania where he was fed beer and white bread as an attraction for tourists," Claire LaFrance, communications director for Four Paws, told The Dodo. 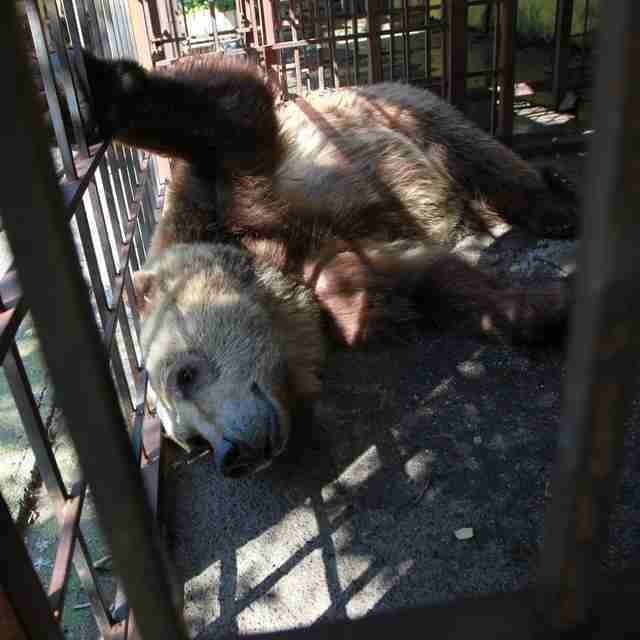 His rescuers believe that Tomi was in that terrible little cage ever since he was a baby. "We assume that Tomi was caught in the wild as a cub and had been living in the squalid conditions for roughly two years before we rescued him," LaFrance said. Even though he could glimpse that there was a world outside his cage, all poor Tomi could really sense was the cold concrete floor and the bars around him. But people were determined to make sure Tomi got to experience much more than that. 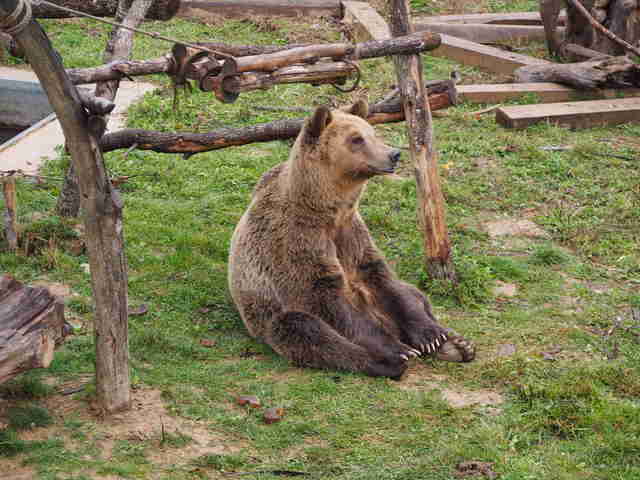 For the past few years, people from Four Paws have been working with governments across eastern Europe to coordinate the release of bears like Tomi, who have been stolen from the wild and exploited for entertainment. 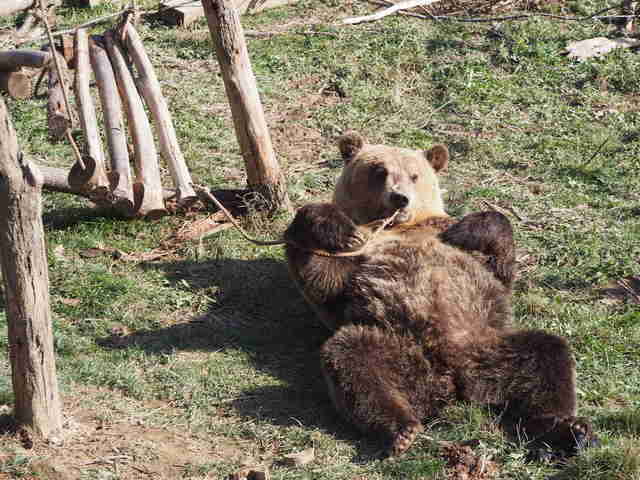 Gradually, these bear rescuers have been able to bring more and more bears to their sanctuary in Kosovo — Bear Sanctuary Prishtina — which was recently expanded so it could provide a home for even more rescued bears. And one only needs to look at the transformation of Tomi to see what a difference fresh air, space and lush grass under a bear's paws can make. 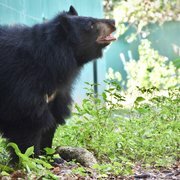 When Tomi took his first steps into his new home at the sanctuary, he almost seemed to wear a stunned expression. Soon he seemed to loosen up, rolling around in the grass in the sun, once he realized that, no, it wasn't a dream — it was the life he always deserved. 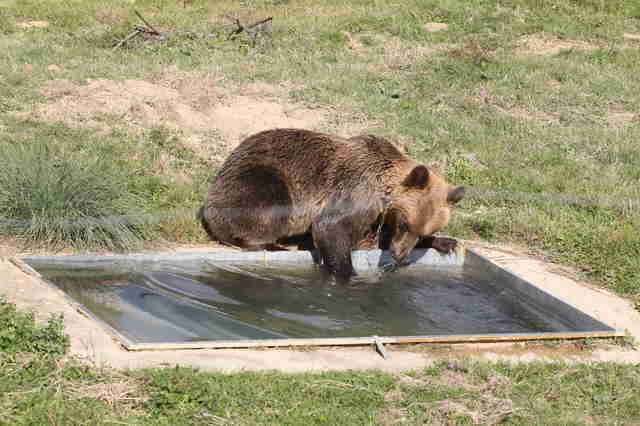 He even had his own little pool to splash around in, as well as many toys to keep him engaged. He looked like he already couldn't believe his luck — and then, to top it all off, winter came and Tomi finally experienced snow. To this day, Tomi exudes nothing else but sheer joy when it snows. He loves rolling around and playing in it more than anything else. 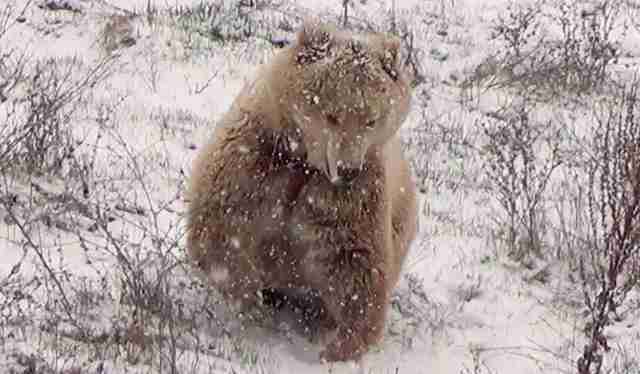 He was recently spotted out in the snowfall acting almost like a cub, happily batting around a log and chasing it through the flakes. It's hard to believe that such an achievable joy might never have happened for Tomi at all. To help Four Paws rescue more animals like Tomi and give them the lives they truly deserve, you can make a donation.